A former producer at BioWare predicts that EA will shift its focus from risky, big-budget games going into the next generation. As one of the biggest third-party publishers of video games, EA has released dozens of new IPs during the current console generation. Some of those, like Dead Space and Dragon Age, have evolved into successful series; others, like Mirror's Edge and Brutal Legend, were less successful (though rumors of a Mirror's Edge sequel have persisted for years). If one former BioWare producer is to be believed, new IPs from EA will be much less frequent next generation. According to Ethan Levy, formerly of BioWare San Francisco, creating risky, big-budget titles just "isn't a priority for the organization." 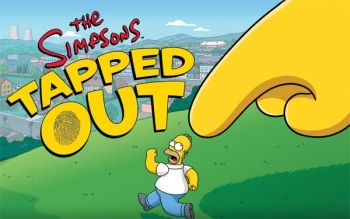 In a Quarter Spiral blog post, Levy referenced iOS game The Simpsons: Tapped Out as an example of EA's changing strategy. Levy estimated that Tapped Out has generated $29.6 million, which translates to $20.7 million after Apple's cut. Considering that the free-to-play title was only released in August, it's pretty impressive that it represents 6.6% of EA's quarterly digital revenue, if Levy's estimation is correct. "I have no idea what Tapped Out's budget was, but I can guarantee a very healthy return on investment for the title, even considering that it has to shoulder some portion of a licensing deal to use The Simpsons' brand," Levy wrote. "No doubt it is a mere sliver compared to the cost of the critical (and probable commercial) failure, Medal of Honor: Warfighter." Levy states that EA's previous stategy of "big brands + big marketing budget + high production values = $$$" may have "finally run its course in the core space." Going forward, Levy believes, EA will focus on smaller games that will provide a bigger return on the publisher's investment. "As far as I can tell from publicly facing information, creating innovative, new IPs just isn't a priority for the organization." From a business perspective, it's easy to see why EA would want to publish smaller, less expensive games with a built-in audience; it's much less risky than a brand new IP that gamers may not respond to, no matter how entertaining or innovative it may be. As a gamer, though, it's a bummer to think that there will be less new ideas in the coming generation than there were in the previous one.